Photo of Datsun was taken in a parking lot with my I-Phone. 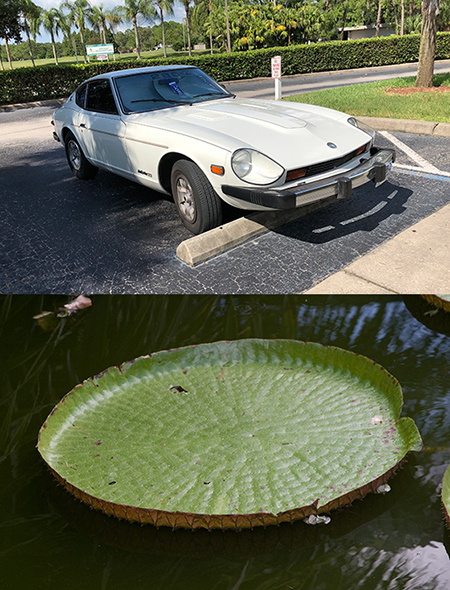 The lily pad was shot with a Canon 40D in a Florida park. 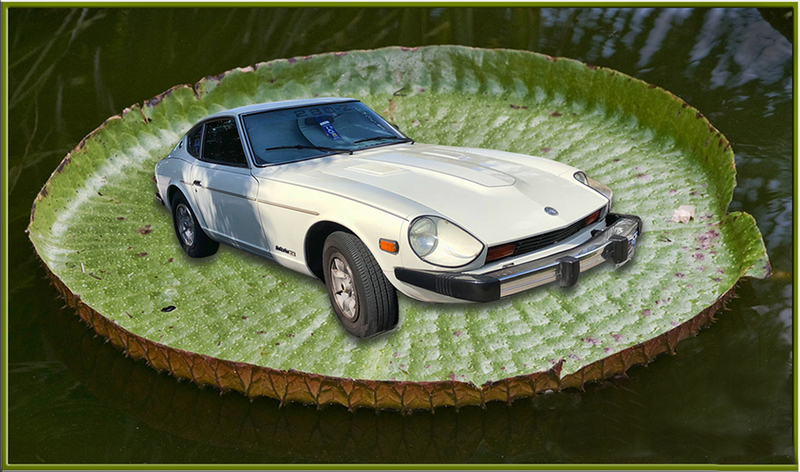 Photoshop was used to select the car and place it on the lily pad. I also made the frame using Photoshop. Included is an image showing the original pictures. I like your composite. You did a fantastic job creating it. I do agree with Dr. Nair that the shadow is missing; however, I must admit that I hadn't previously noticed.